COMMENT: Would you buy this airport? 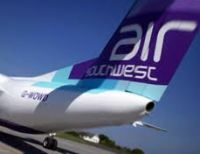 Plymouth-based Air Southwest is to cease flying by the end of September and with it air links to Plymouth, the largest city in Cornwall and Devon. Plymouth Airport itself will close at the end of December, the property owned by Sutton Harbour Plc who also owned the airline until last year when the carrier became part of Eastern Airways. Known locally as Roborough, the airport was opened by the then Prince of Wales in 1931. In its heyday in the 1980s, under Brymon Airways, the airport boomed with four flights a day to Heathrow, the same to Gatwick, and also routes to the Channel Islands, France, the north of England and Scotland. The city of Plymouth also gained dramatically. When British Airways took over Brymon in 1994 it also acquired its valuable Heathrow slots and set the airline on the route to oblivion. The final nail in the coffin was the airline/airport’s sale to Sutton Harbour, an ambitious and aggressive local property company whose sights were clearly set on housing development within the site. Lip service was paid to the airline and the secondary runway was closed. 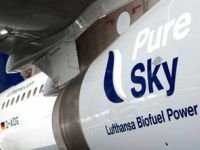 Lufthansa has become the first airline worldwide to use biosynthetic kerosene in scheduled flight operations. It has launched a six-month trail on the Hamburg – Frankfurt route with an Airbus A321 registered D-AIDG. With a one-hour flight time and 35mins minimum turnaround the aircraft could make up to four return trips a day. Lufthansa says that during the test run period, the use of biofuel will reduce CO2 emissions by up to 1,500 tonnes. The biosynthetic kerosene used by Lufthansa is derived from pure biomass (biomass to liquids – BtL) and consists of jatropha, camelina and animal fats. Suppliers must provide proof of the sustainability of their processes and meet the criteria stipulated by the European Parliament and the Council in the Renewable Energy Directive. The airline guarantees that the production of its biofuel is not in direct competition with food production and that no rainforests are destroyed. The Government's South East Airports Taskforce published its final report last week, proposing that when Heathrow has problems both runways should be used to try and reduce delays. In other words take-offs (and landings) could be accommodated simultaneously. Trials of the new measures will be run over the autumn and next summer. Plans were also announced for consultation with a view to switching to smarter, more effective and passenger-friendly airport security regimes for all UK airports. 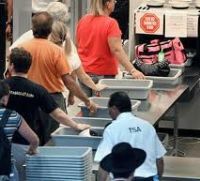 This involves not only on how each individual airport deals with its passengers in respect of the physical side of the security system, for instance whether belts and shoes need be removed, but also the technical/equipment aspect. Does a relatively low volume operation such as Liverpool need to invest in the same very expensive security equipment as used at Heathrow with its far higher throughput? The consultation is due to close on 7 November 2011. 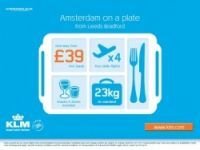 With a campaign reminiscent of the “London’s Fourth Airport” promotion more than two decades back, KLM Royal Dutch Airlines has unveiled a new above-the-line creativity to support a series of one-way fare advertisements. The concept is a UK territory initiative which will be trialled throughout the Leeds Bradford International Airport catchment area before being rolled out nationally across KLM’s 15 British departure points. It all started last week. 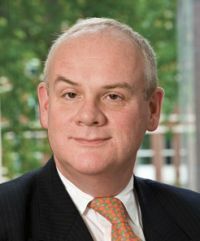 A senior member of the UK airline industry has pointed out that the enterprise could be construed as another way by a continental airline in benefiting from what was described as the British Government dithering in respect of Heathrow (LHR) capacity and the growing number of flights from Amsterdam (AMS) to China. AMS now serves six Chinese cities as against LHR with just two. Last week the top floor of City Hall was the setting for an air transport briefing sponsored by the Mayor and hosted by the Deputy Chairman of Transport for London, Daniel Moylan. A distinguished panel also included Richard Hadfield, Director General – International Networks and Environment DfT and Dr Michele Dix, an expert in urban planning representing the Greater London Authority. Mr Hadfield encouraged all attendees to make sure that their voice was heard in response to the Government’s scoping document with a September deadline. The consultation results are made public next March. Michele Dix gave a fascinating review emphasising that four out of every five trips to and from the UK are made by air, showed how London was losing out to Continental gateways in terms of air routes and that “A New Airport for London Part 2” would be published in the autumn. 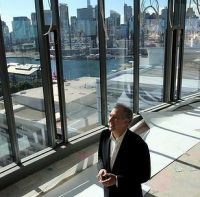 The Darling, Sydney's newest hotel, will open in October 2011. The boutique accommodation will boast panoramic views of the city skyline, Harbour Bridge and out to the Blue Mountains. The 12-storey new property offers 171 rooms and suites, with the top floors dedicated to the ultimate in luxury, featuring two-bedroom penthouse suites. The suites, uniquely designed by renowned LA designer, Lawrence Lee, feature floor-to-ceiling Sydney harbour views, bespoke furniture, fireplaces, media rooms, butler service and a private VIP arrival. It started life 84 years ago and has enjoyed a vibrant past with guests including glamorous Hollywood stars, music legends and British Royalty. Last week Vancouver’s Rosewood Hotel Georgia re-opened its doors to welcome the first guests since a dramatic restoration, returning this historic hotel to its position as the social, business and cultural hub of the city. Within a very short space of time London’s Stansted Airport (STN) will have to be put up for sale by BAA Ltd.
How much is it worth and who will buy it? What is its future? The timing is not great. Would you invest in an airport that is 67% dependent on one airline, and in particular, one man? Ryanair and Michael O’Leary. easyJet has 23% of passengers and Germanwings is next up at a mere 3% of the total. easyJet says it is setting up at nearby Southend next year. How will that effect the airport and will its routes move, be duplicated or new destinations found? The US has proved a flop, Air Berlin’s Hannover and Nuremburg flights have relocated to Gatwick (LGW), and Air Asia last week announced a move to the south London airport for December. No more than 17.5m passengers are predicted to pass through this year, as against 24m in 2007. The problem is that it is a good airport and one that is well organised. Even this weekend, its busiest of the year, everything seems to have happened smoothly. Yes there is probably someone who has missed their ‘plane and is complaining to the media, but common sense dictates that you leave for an airport early when you know it is going to be crowded. Let us look at STN in a more detailed way. There are many unanswered questions. When it is sold who will finish up owning the land for the virtually abandoned second runway project? The present extended terminal was designed for 30m passengers and can easily handle 35m. In the short-term little investment is needed. The road links are adequate. But is anything going to be done about a high-speed (monorail) link to London? The loss of Air Asia X (170,000 passengers in 2010) to LGW is more than just an airline relocating from one airport to another (see below). It is a move than can be carefully monitored. Only one other carrier flies from London to Kuala Lumpur, Malaysia Airlines (428,000 passengers in 2010) with a twice daily 747 service out of Heathrow (LHR). We will not see the results of the move until July 2012 when the Malaysian budget airline would have been operating from the south London operation for half a year. Will the figures be dramatically up, or stable, or even drop? When airlines such as ANA and Continental transferred to LHR from LGW the results were dramatic. In April Air Berlin’s figures at LGW were 31% up on the 12 months' numbers back at STN. Brilliant marketing or the draw that is the south London airport? Or a bit of both? Which brings us back to the question – how much is STN worth? And how much needs to be spent? Could a new owner persuade an incumbent government to approve a second runway? Or even a third or fourth. At the back end of 2009 BAA Ltd sold LGW to Global Infrastructure Partners (GIP) for £1.51bn, who claim to be spending a billion on upgrading the airport with the new inter-terminal train demonstrating money well invested. But will GIP go for a second runway in 2020? 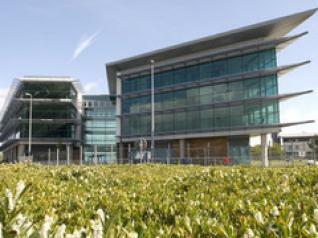 In 2006 GIP had paid £726m for London City Airport which had its record year in 2008, at 3.2m passengers. It has spent money on an extended apron and terminal and is just completing a much enlarged security and airside lounge area. A railway to the Queen Elizabeth Olympic Park will open shortly. Maximum movements at LCY have been extended to 120,000 per year, which in practical terms, and using a mixture of Embraer jets and Bombardier turboprops, means a maximum of 8m annual passengers as things stand. So based on these figures, and not knowing the profit margins involved for either airport, what is the value of STN? It has been suggested that GIP paid too much for LCY and not enough for LGW. STN is a gamble, but one that could just come off and make the airport a 70m passenger cash cow. With than in mind something in the £750/900m range is perfectly plausible. This figure is probably less than BAA want but Stansted is both a puzzle and a challenge. We think it might just work. HNA Group, not a name that rolls off the tongue, has become the operator of the 800th Airbus A330 to come off the Toulouse production lines. The aircraft in question is an A330-200F, the company’s third. HNA is a major Chinese transport and logistics group best know to the general public for Hainan Airlines. The Airbus A330 first flew in 1992 and is essentially a twin engined sister to the less successful (379 built to date) four engined A340. To date, over 1,140 A330s have been ordered and it is likely to stay in production until 2015 when its successor, the A350 XWB, takes its place on the production line. 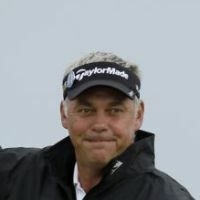 Daren Clarke of Northern Ireland may have won golf’s Open Championship at Royal St George’s Golf Club, Kent, yesterday (17 July), but also winners were nearby Manston Airport and resident airline Flybe. The airline is the only scheduled operator flying into Manston and, over the four-day duration of The Open, hosted 12 flights split evenly from Edinburgh and Belfast City, the latter route in particular attracting a great many late bookings. Flybe, Europe’s leading regional airline and the UK’s number one domestic carrier, reported that bookings have soared with strong demand on all flights as players, support staff and golfing fans flew in and out for the Open Championship. Total bookings were up 70% compared with the same period in 2010, with those on the airline’s popular Edinburgh service 40% above last year. ‘Connect by Hertz’, the car sharing club, has been ditched by the car hire giant and is now replaced by ‘Hertz on Demand’ much the same, except that membership, which you have to have, is free. ‘Connect’ was first introduced in the US but as ‘Demand’ now will also operate in London, New York, Paris, Madrid and Berlin. ‘Hertz on Demand’ is a pay-as-you-go system, providing members with 24/7 access to vehicles strategically located. Whilst the normal range of Hertz vehicles is available it also offers in London two models of electric cars, the Nissan LEAF, and Mitsubishi i-MiEV. Railway tickets are a new option available on the Lufthansa web site. When booking a flight online, passengers simply need to click on the new 'Rail&Fly' option, then select their route and their travel class. Previously rail tickets had to be booked separately. A Rail&Fly ticket to the departure airport for an international Lufthansa flight can be added to the flight booking for only €25 in Second Class and €45 in First Class. The price for a round-trip ticket is €50 or €90 respectively. The Rail&Fly ticket can be used on nearly all Deutsche Bahn (DB) trains, including the ICE. More than 5,600 DB railway stations throughout Germany qualify as departure stations. Hilton’s DoubleTree brand is to come to North East England in autumn 2011 with the opening of the DoubleTree by Hilton Newcastle International Airport, adjacent to the terminal. It will offer 179 guestrooms, 11 conference rooms, a business centre, fitness centre plus extensive food and beverage options. With more than 5m passengers travelling through the airport each year, the site benefits from easy access to the A1(M) motorway and a direct metro service to the city centre. The share price of Thomas Cook came crashing down last week as the world’s oldest travel company issued a profit warning. With the peak holiday period just weeks away there are plenty of bargains available. The firm’s statement said that profits would suffer substantially – about 25% – due to ongoing trouble in the Middle East and North Africa as well as weak consumer spending trends both in the United Kingdom and Spain. The 2010/2011 figures were now expected to be around £320m, compared to the previous year’s figure of £362m and substantially less than the £380m expected. Jane Stanbury has been to Northern Spain from Heathrow. 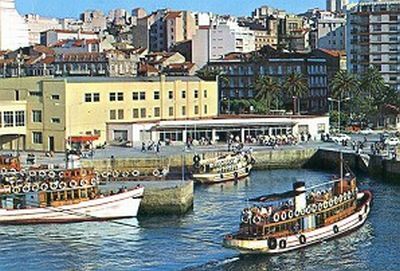 “You don’t need an overcoat in Vigo,” proclaims Abel Cabellero, the recently re-elected mayor of the bustling port. Extolling the virtues of the town as a tourist destination to a group of British journalists it soon becomes apparent that he has great vision for this charming Galician destination. Formerly Minister for Transport, Tourism and Communications in the Spanish Government, if anybody can put Vigo on the map it is probably Caballero. Already in place is a collaboration with new generation, low fare Spanish airline Vueling to provide flights three times a week during the summer season between Vigo and Heathrow. “These flights are split 50/50 between leisure and business, but we expect the incoming tourism business to grow, and would like to see the outbound tourists using Heathrow as a hub. This is a great opportunity for us,” he continues. The airport at Vigo is currently undergoing a modest development valued at around €4m and Caballero explains that capacity will increase from 1m to 4m passengers a year, no mean feat for a town that is primarily known for the large Citroen factory on its outskirts, and for being the second largest fishing port in the world – after Tokyo. The mayor also has plans to improve the airport bus service increasing the schedule from hourly to every 15mins, the high speed TVG will come to Vigo (something he approved when he was a minister! ), and there is an ongoing plan to provide cycling and network routes around the Vigo area. 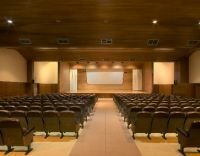 Located next to the busy port the construction of an impressive conference centre, The Auditorium Congress Palace features open spaces, a roof terrace perfect for a cocktail reception and a stylish auditorium for 1,700 people. Opened just two months ago it is supported by a brand new hotel from the Galician hotel group, Carris. The contemporarily styled Carrís Beiramar has modern rooms, a fantastic restaurant and is adjacent to the centre, a combination which will put Vigo firmly on the conference circuit. 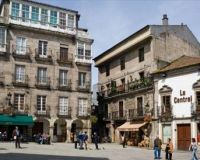 Whilst eclipsed by its better known fellow Galician towns of La Coruna (also served by Vueling direct from Heathrow) and Santiago de Compostela, Vigo is sure to become as well known in its own right. Situated on the west coast of Galicia, just 20m from the Portuguese border the snaking Atlantic coastline enjoys a microclimate which ensures the city is never really cold, and experiences balmy breezes through the summer months. The outskirts are modern, urban residential areas, whilst the centre of the city is peppered with typical Spanish plazas, and the mayor’s campaign to create a verdant city is reflected in flowers, shrubs and trees creating a bright and airy feel. The downtown area, featuring an array of restaurants, cafés and bars is easily walkable. It’s the kind of city you amble through and always come across something interesting – like a man playing bag pipes, a pop-up book festival or as when we were there the Transforma music festival that had Moby headlining. For the foodies Vigo is a delight. 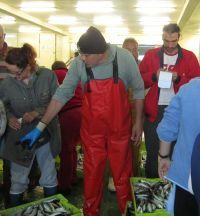 As a major fishing port the daily catch is caught overnight, delivered to the dock, hived off by a busy set of fishermen and fishwives to restaurants, wholesalers and local shops. You can visit the fish market in the early morning and view the frenzy as catches are unloaded, auctioned and shipped out in literally minutes, the best going to some of the finest restaurants such as Restaurante Piloto. Perched on one of the many hills looking over the port Piloto serves regular fish dishes alongside the more exotic such as spider crab, scallop pies, or in our case “percebes” the dinosaur-toe like barnacles that cost a small fortune reflecting the life risking methods used to harvest them from the savage Atlantic coastline. Followed by an overwhelming plate of crayfish then a delicious hake in a clam sauce it soon becomes apparent Galician life revolves around food. As our guide said: “If there is one thing you should never complain about it’s the Galician food.” But honestly, you’d never have cause to. 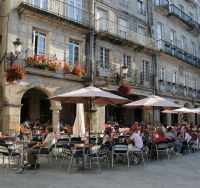 Tapas abound too, freshly cooked baby sardines, octopus – a typical Galician dish, mouth-watering cold meats and a bewildering array of cheeses all feature on the menu. It’s a gastronomist’s delight. These are deep-water estuaries which are protected from the rough Atlantic by the archipelagos of Ons, Sálvora Cortegada and Cíes. The four principal sets of islands have prevented silting and ensured the deep-water entries to the harbours and go some way to explain why Vigo is such an important port. 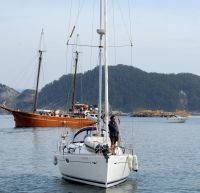 The Rías are a natural pull for the sailing enthusiast, or just those that enjoy beautiful natural landscape, wide seas and big skies. The Islas de Cíes, the most southerly of the islands, which together form the protected National Atlantic Park, are accessible from Vigo via a chartered yacht, or by a regular ferry service which stops at Vigo, and the surrounding villages to pick up day trippers, or campers wanting to visit and overnight on these stunning islands. The beaches offer white golden sand, the marine life is abundant and even though the Atlantic is normally dark and murky the waters around the islands are a sparkling, turquoise. So clean are they we were even able to spot an octopus going about its daily life in the marine waters. The islands feature a number of walks through forests of laurel, Spanish oak and pine trees which in turn create their own biodiversity and at the highest points visitors are rewarded with stunning views of islands that were once homes to smugglers and pirates. Only 2,000 visitors are allowed each day in the summer with less in the winter to help protect them, and they are certainly worth protecting. The sea features heavily in Vigo life and it is unsurprising to find a converted sardine canning factory established as the fascinating Museum of the Sea which hosts temporary exhibitions along with a permanent exhibition highlighting all facets of working, living and exploring the ocean. The aquarium features flora and fauna from the surrounding water and its location right by a small beach means that should you tire of the history and culture you can head out for some sun and a swim. Currently showing is an exhibition by Vigo’s most famous photographer Pacheo who from the twenties through to the seventies captured the full force of Vigo life. Digitally enhanced black and white images have sailors, families and a plethora of Vigo characters staring out from the city’s past. 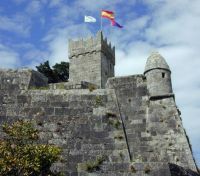 It’s a fascinating insight not only into Vigo’s heritage but of Galicia’s past. So important are these images a museum dedicated to his work will be opening in the near future. Staring into the faces of these historic Vigo characters you can’t help but wonder what they would think of Mayor Caballero’s ambitions for the city. After two years at Stansted (STN), Air Asia X, the Kuala Lumpur-based low fare affiliate of AirAsia, is to abandon the Essex airport and move to Gatwick (LGW). The move is timed for 24 October and the airline expects to be operating six flights weekly from LGW by mid-December. The airline says its decision to switch from STN to LGW was to maximise commercial opportunities at LGW, to ultimately drive increased traffic flow between UK and Malaysia, and also the various key feeder markets within AirAsia’s network in Asia Pacific which the airline has proven at STN. AirAsia X says its guests will be given a wider choice to travel onwards and connect domestically and internationally via LGW. 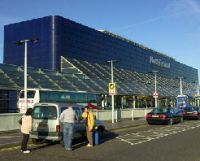 Public transport and accommodation facilities are said to be better at LGW for stop-overs or for those heading towards central London and the surrounding region. Monarch, which calls itself “the scheduled leisure airline”, is to launch services from Gatwick to Barcelona at the start of the winter season in a challenge to incumbent airline easyJet. There will be 11 return flights per week. easyJet is five times per day for the 2hrs 20mins sector. Monarch already serves the capital of Catalonia from Manchester. 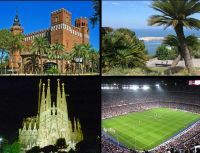 Barcelona brings the total number of scheduled destinations served by the airline from Gatwick to 13. Frankfurt is to be linked to Gatwick by Lufthansa from the start of the winter season on 30 October. A two-class Boeing 737-500 will be used for the services. Over 50% of the seats are expected to be taken up by business travellers. Whilst personal hand held units have been around a long time as regards airlines (Virgin Atlantic offered them in the 1980s) today’s portable offerings are very sophisticated. Icelandair has a problem in that it needs to charter in extra, sometimes non-in-flight entertainment (IFE), aircraft at peak periods. Business Class and Premium Economy passengers will now be able to play games and enjoy movies and TV shows. IFE Services, a leading UK-based IFE provider, has signed an agreement with the airline to supply Sony PlayStation Portables (PSPs). Each PSP will come loaded with a choice of movies, TV programmes and digital comics as well as a broad selection of the latest PSP games. 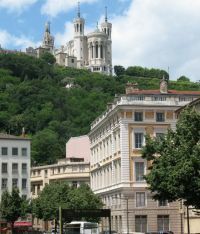 In April 2012 Finnair will introduce a twice daily direct Embraer E190 operation from Helsinki to Lyon in east-central France. It will be the first time the centres have been linked by air. For residents of France’s second largest city and its surroundings, the route provides not only a convenient service to Finland, but also connections to Finnair's Asian destinations. Having pulled out of Manchester Airport in spring 2009 citing high landing charges, and others hinting a poor performance, Ryanair is returning as of next October. The Manchester Evening News (MEN) took in all the blarney splashing a banner heading of a £175m investment, this for four leased aircraft by the summer of 2012. Mr O’Leary himself turned out for the press conference and claimed two million passengers and 2,000 jobs. The re-introduction of Ryanair will undoubtedly help the airport but the figures have been challenged. 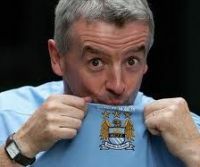 By wearing a Manchester City shirt O’Leary might have lost the Dublin-based airline half its custom. Ryanair will offer 17 destinations with two aircraft this winter, joined by another pair for the following summer giving a total by this time next year of 26 routes. Launched with a big fanfare in November 2007 in Melbourne, and tracing part of its ownership through its Singapore-based namesake, to Singapore Airlines, Tiger Airways Australia has been grounded. 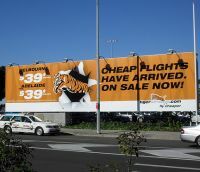 On 2 July, Tiger Airways Australia was initially suspended by the Civil Aviation Safety Authority from flying due to "various" safety concerns. This follows several “incidents” none of which were fatal, with its 10 strong fleet of Airbus A320 series aircraft. Ticket sales are currently suspended. As things stand at the present time Tiger says that the postponement is only to the end of July and has made it clear in various statements that the public was not in danger due to flight procedure issues which the authorities were not happy about. Long haul Tiger Airways flights to Singapore are not affected.